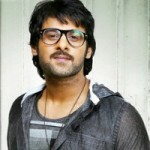 After four and half years since working for Baahubali film, Prabhas has finally enters the sets of his next film Sahoo today. Shraddha Kapoor & Neil Nitin Mukesh in lead roles. Directed by Sujeeth, who made his debut with Run Raja Run is directing his second film now. Produced by V. Vamsi Krishna Reddy, Pramod under UV Creations. Written by Sujeeth, Music by Shankar–Ehsaan–Loy, Cinematography R.Madhi, Edited by A.Sreekar Prasad.